The Order of the Most Holy Mary Theotokos is proud to have an Agreement of Intercommunion with the Dormition of Mary Eastern Orthtodox Christian Church and Monastery. "John spoke up. ‘Master,’ he said, ‘we saw someone driving out devils in your name, and because he is not with us we tried to stop him.’ But Jesus said to him, ‘You must not stop him: anyone who is not against you is for you.’"
The Order of the Most Holy Mary Theotokos is extremely proud to have an Agreement of Intercommunion with The Dormition of Mary Eastern Orthodox Christian Church and Monastery entered into on February 2, 2015, the Feast of the Presentation of the Lord. 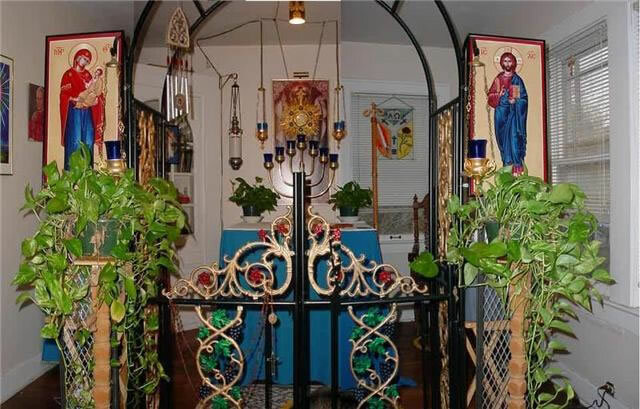 The Dormition of Mary Eastern Orthodox Christian Apostolic Monastery is an autocephalous Orthodox, Christian and Apostolic community here "To serve and support individuals along their path of oneness with God by providing liturgical structure balanced with spiritual enlightenment and awareness through an understanding of the Eastern fathers and spirituality."